I've been asked on several occasions what my favorite cartridge is. To be honest I probably answer it different every single time, but I've always had a love for the modest .22LR. Abundant, accurate, low-recoil, light, and cheap. You can shoot 300 rounds of .22LR in a day and not feel guilty about it. I believe one of the best solutions is the use of a Dedicated .22LR Upper. Panther Arms (DPMS) is a juggernaut in the AR game. Based in St. Cloud, MN they are the second largest AR manufacture in the World. It was only a matter of time before they produced a successful dedicated upper chambered in .22LR. There are two different models to choose from; the Bull Barrel or the AP4 Assembly. Shortly after announcing the manufacture of these new uppers I received a package in the mail. DPMS had sent me one of their AP4 models to test and evaluate. 16" AP4 4140 Chrome-Moly steel 1/2 by 28 Thread Barrel (Per-Ban) With A2 Flash Hider and A2 Front Sight Base with Bayonet Lug. I unboxed the upper and immediately started looking at the details. Its weight, finish, and overall appearance was that of a standard 5.56/.223 upper, but once I pulled the charging handle and bolt assembly out of the receiver I noticed the differences. 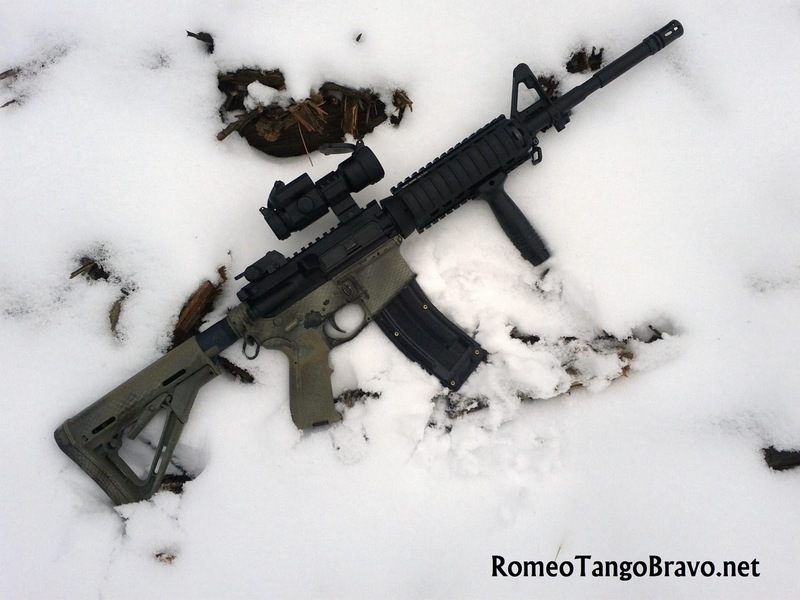 DPMS is utilizing a simple blow-back operating system. (simple is good) with a single guide rod and spring there isn't much for the action to get hung up on. They also have decided to adopt the use of the extremely popular and reliable Black Dog Machine Magazines. These magazines are user serviceable and function better than any other .22LR (large capacity) magazines I've used. I generally don't throw a bunch of stuff on a test gun, but I couldn't help myself this time. The AP4 .22LR Assembly was just begging for an upgrade. I first replaced the standard plastic hand guards with a Midwest Industries Rail so that I could attach a Surefire Scout Light and a Knight's Armament Vertical Grip and Rail Covers. For a rear sight I pulled my old Matech BUIS out of retirement (inspired by Guns & Coffee's Business Class Carbine). I then pulled a Vortex Strikefire off another carbine I had and VIOLA! I then noticed that the upper was now very reminiscent of a SOPMOD setup and was ready for the range. Second, the forward assist is not operational. 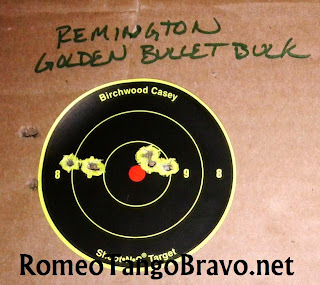 This really isn't a big deal, as most shooters will never utilize the forward assist on a 5.56/.223 gun, but rim fire ammo can be inconsistent and my need a little help, now and then, to fully seat. Without a forward assist his is remedied by simply charging the gun again. Third, you can lock the bolt open using the 'ping-pong paddle' but it does not hold it open enough to load a magazine and drop the bolt to load the gun. 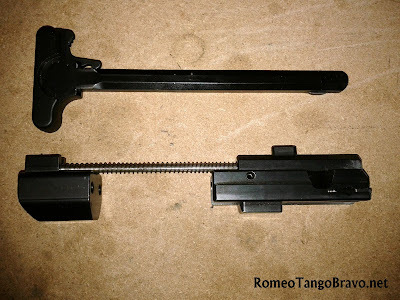 On the same note; the bolt will lock open after the last round, due to the Black Dog Machine Magazine follower, but once you remove the magazine the bolt will close. Hell ya it does! I haven't had this much fun shooting in a long time. My buddies and I were passing this gun back and forth while loading magazines and quickly killed a 500 round bulk pack. Overall, I have put a little over 1,000 rounds through the upper since I received it and have not experienced a single malfunction. I can hear you already, "Ya, whatever you're just saying that." but I'm not kidding. 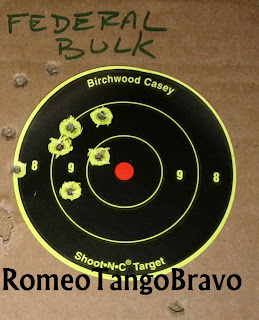 When I first started shooting I expected to encounter a handful of malfunctions (failures to feed/eject and short strokes) due to the general inconsistency of .22LR ammunition; especially since I had chosen nine different loads to put through it at first. I have yet to encounter the need to clear a malfunction. I would chalk this up too two things; the positive extractor on the bolt face and the Black Dog Machine Magazines. I'm sure you all have encountered someone that claims their gun never jams; I have had several tell me this and I have no reason to doubt them, but guns are simple machines and as such, they all malfunction at some point. If your gun hasn't jammed you need to shoot it more. Apparently, I'll need to shoot more than 1,000 rounds through this upper in order to see it malfunction. When I sat down to zero the rifle I wasn't overly concerned with making one raged hole. 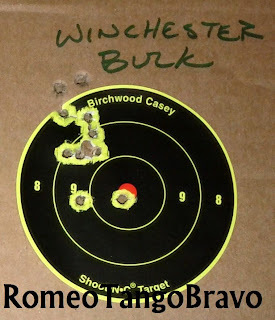 I was looking for an acceptable group at 50 yards, so that I could get out there and slay some tin cans and whatever else showed up in my sights. Using the 4MOA dot provided by the Vortex Strikefire (which completely covered the target at 50') I placed it over the target and pressed the trigger. Below are three ten round groups using Remington, Federal, and Winchester Bulk Packs. I have no doubt that even more accuracy can be squeezed out of this setup if I were to incorporate a magnified optic; especially on top of their Bull Barrel Assembly. With so many new people joining the ranks of the shooting community it only makes sense to start them on one of America's most popular and user friendly rifles. The natural progression of this is to chamber it in an affordable and abundant cartridge so you get the biggest bang for your buck. DPMS has a fantastic vehicle in their Dedicated .22LR Upper Assemblies for introducing a new shooter to the sport or keeping the skills of a seasoned shooter sharp. Thanks for the great article, I just pulled the trigger on one of these do to it and could not be happier. I had almost the exact same spare parts laying around as the writer exept for the Magpul moe gaurd and Sightmark Tactical red dot. Endless fun but need more mags as the rnds fly out quick.